One of the most respected mentors in the finance industry, Simon speaks candidly about how CEOs, executives and managers can lead with purpose and impact. Specialising in leadership, culture change and simplicity, Simon’s reputation for rebuilding teams from the inside is compelling and enthralling. By working closely with successful leaders, Simon has observed how talented and prosperous people operate, and through doing so shows others how to follow in their footsteps. 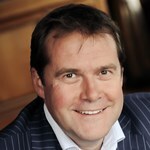 Simon’s expertise in seeing the simplest and most elegant solution to a problem has been invaluable to teams, managers and CEOs across leading global companies, such as ANZ Bank, Lloyds Banking Group, RBS, Cisco, American Express, Coutts Bank, Volkswagen Group, Morgan Stanley, BP, Castrol, Norwich Union and DuPont. 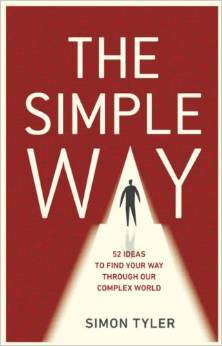 His book, The Simple Way, revealed how to cut through everyday personal and business complications and frustrations. His next book, The Impact Code, explains how to completely reassess personal presence and reignite a taste for living and leading with energy, authenticity and passion. Simon’s conference and after dinner speeches are uplifting and revolutionise how audiences think and feel. A must see!